Made in the USA. 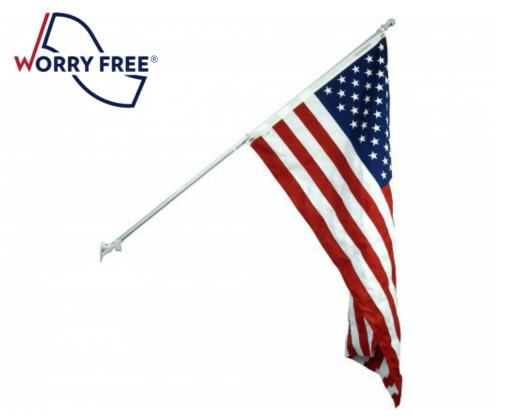 Our Worry Free® American flag set is a wonderful way to display the US flag off of your house, garage, or deck. 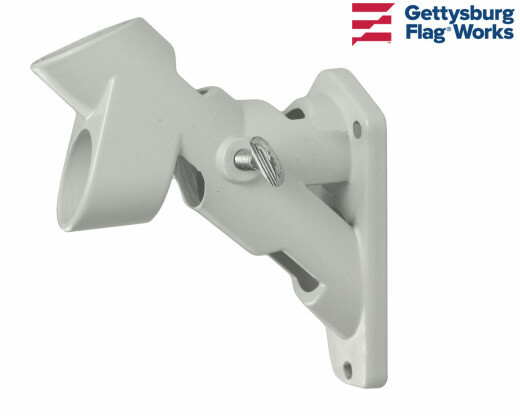 This sets includes our Battle-Tough® Nylon American flag, a residential pole, and a house mount bracket. It comes assembled and ready for installation for your convenience. 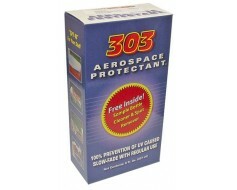 Call us at 1-888-697-3524 or contact us online if you are looking for a different set. 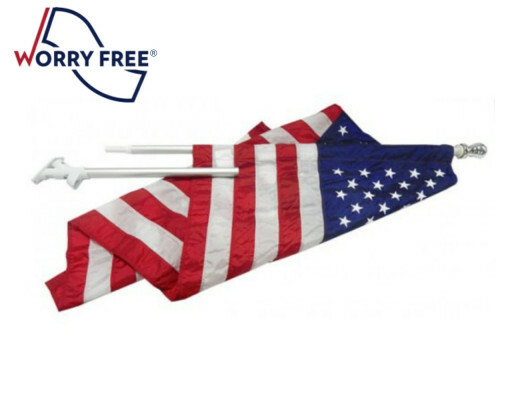 This flag set is a gift for my parents to replace the old faded, tattered and ripped flag hanging from their porch. 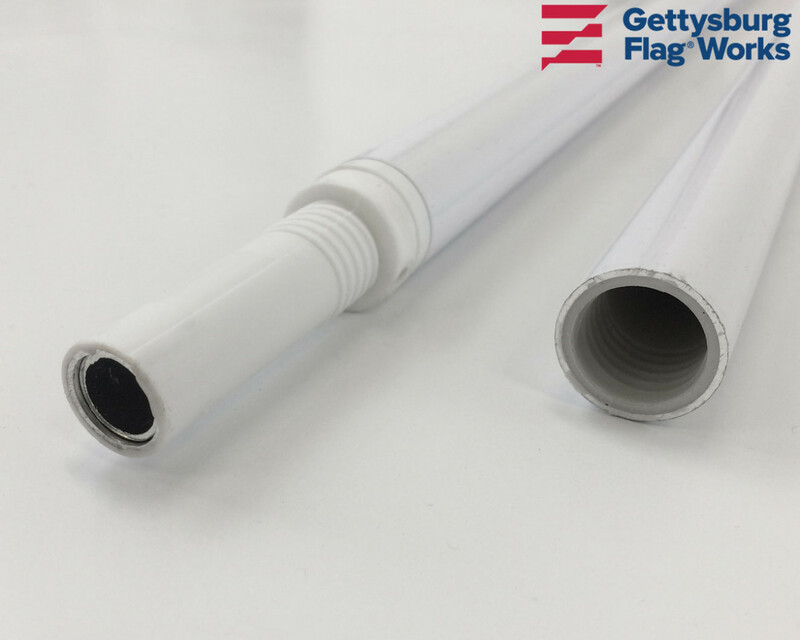 What a difference, high quality and definitely built to last...Not just the flag, pole and mounting bracket as well. ...AND...You actually did everything you said you would do. Shipped on time and arrived on time. Thank You. So happy with our flag package purchase! Such high quality and love the flag doesn't flip over anymore! Love the colors are so bright! 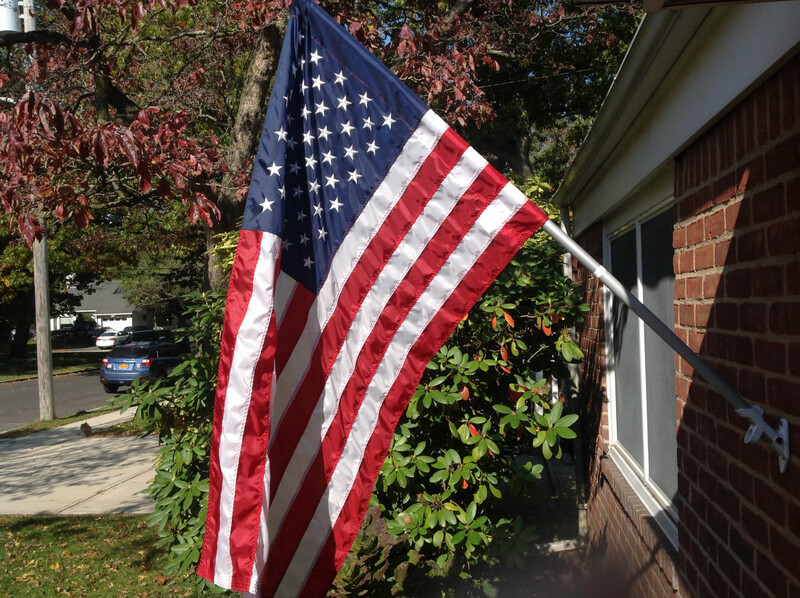 I'd been looking for a flag kit for the front of my home for years but never cared for the quality of what I was finding in the big box stores in my area. Looking online I ran across your site and decided to give your company a shot. 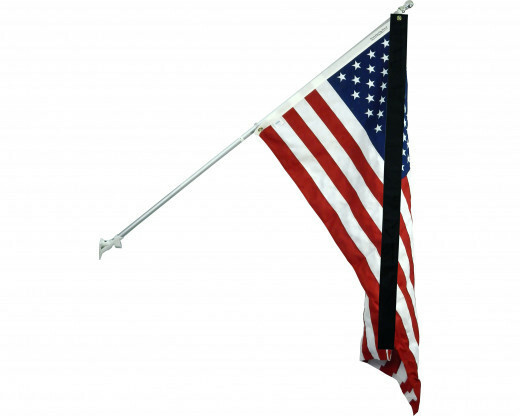 Your service was quick and quality of the flag and associated hardware is top notch. Without a doubt your flags are so much better than anything I could have found locally. Couldn't be more pleased. This flag and pole are as pictured. 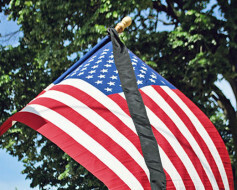 I am looking forward to not having to unwind the flag from the pole. It went together easily and holder attached to wall without a hitch. 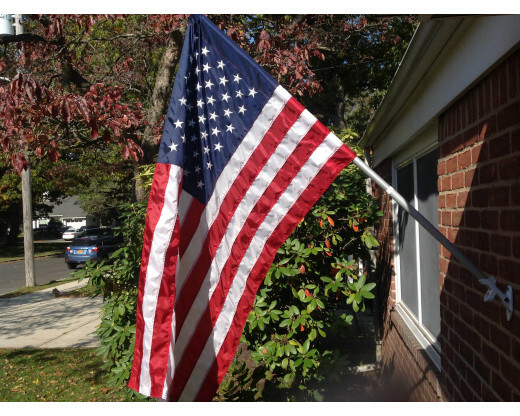 Our house faces southeast causing the flag to constantly wrap around the pole when there is a steady breeze. Highly recommend. 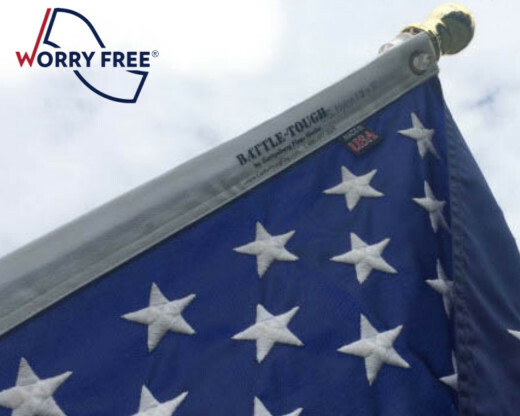 The quality of this flag exceeds my expectations. It is rigged yet looks majestic and the pole not only looks good, it holds up the flag perfectly, even in a stiff breeze. I like how the flag can spin around the pole with ease while making little sound. 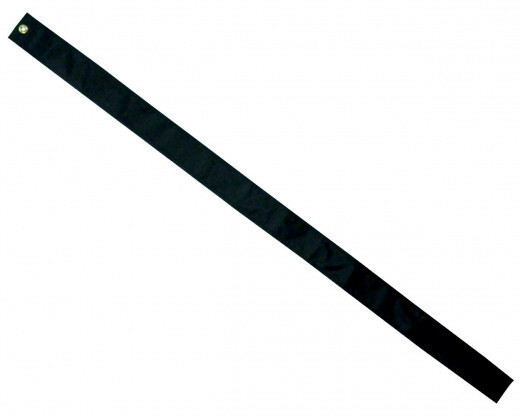 Iâ€™m pleased with my purchase and will probably now make additional purchases, such as a black ribbon for half staff occasions. Quality and value I thought didn't exist anymore. Wow! I was so tired of previous purchases lasting only a few weeks to a month before falling apart or fading. It is almost impossible to find a flag with this amount of detail locally. So I went online. The only purchase I have ever made that I didn't regret. The stitched stars and stitched stripes are the style and look I remember! 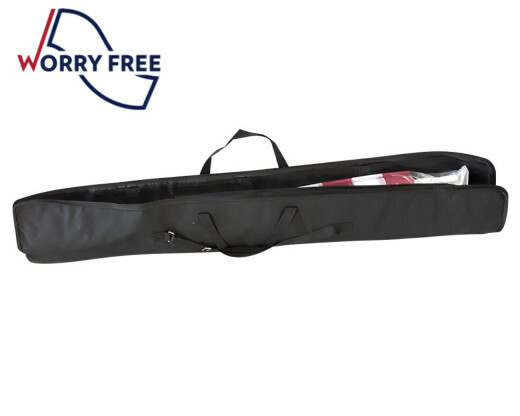 I love the way it looks and love even more that I am supporting an American made product. This purchase was a special gift for my #1 son! 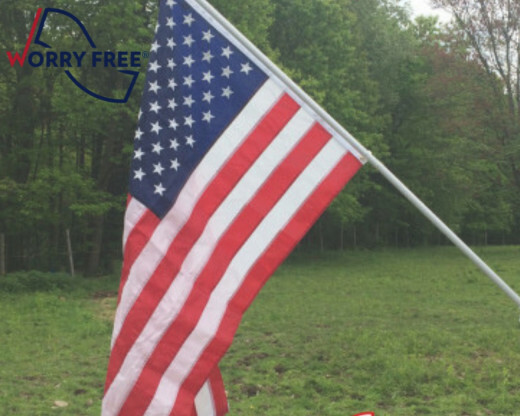 He is so helpful & does so much for us, I wanted him to have & enjoy this Flag like I enjoy mine. We are proud to be Americans and we want everyone to know we are very patriotic. 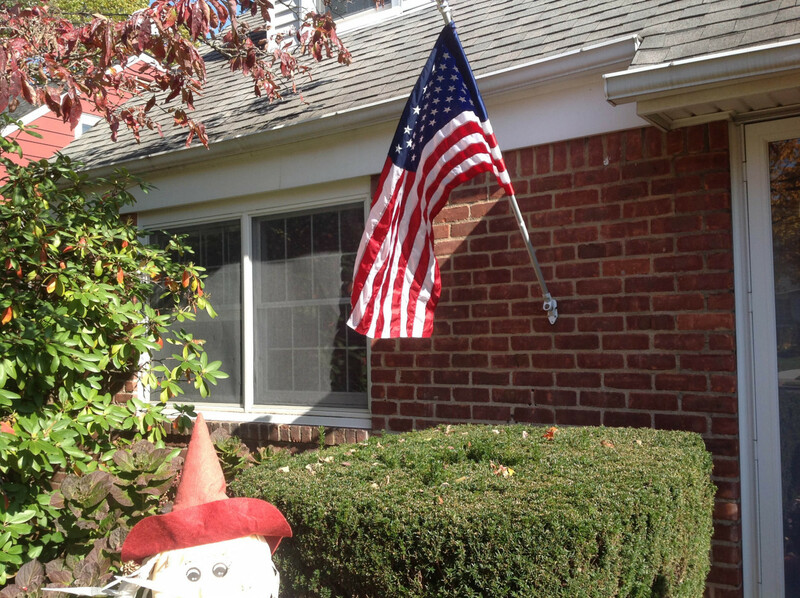 My house is completely decorated in the Red, White & Blue and it will stay this way until Thanksgiving/Christmas! 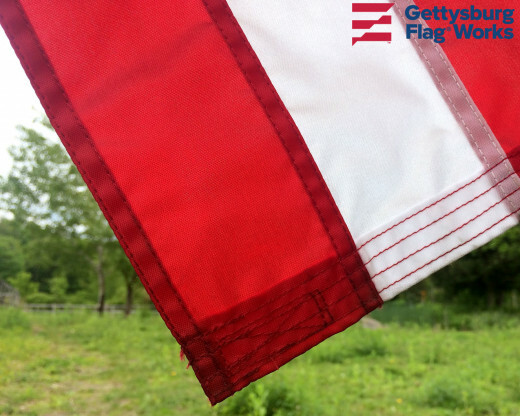 Gettysburg Flag Works is the Best! You can't go wrong with them behind their products. So what are you waiting for?? Hurry and get yours before July 4th! You will be glad you did! HAPPY FOURTH OF JULY!! 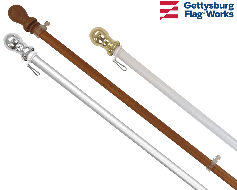 We completed a lot of research in looking for a house mounted flag and flagpole set for our new home. 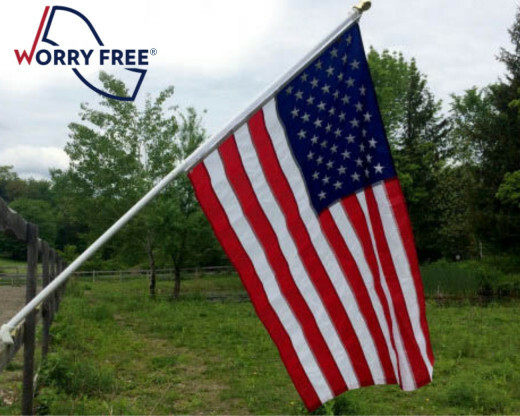 After reviewing numerous sites, we found that Gettysburg Flag Work's Worry Free American Flag set offered the best quality and value. 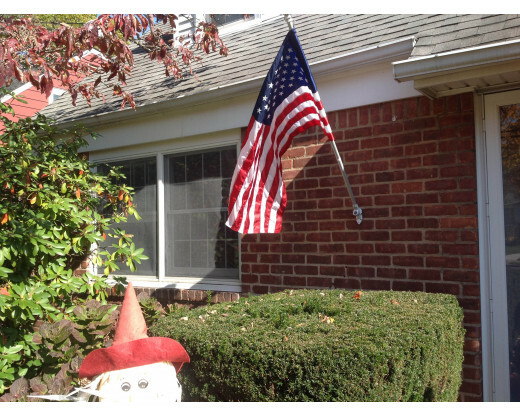 With the flag and pole mounted (the flag came pre-mounted to the pole - thanks!) 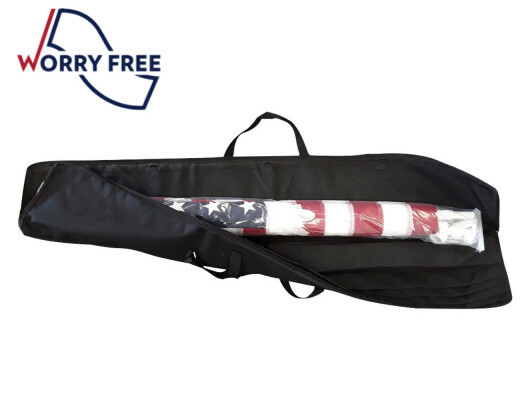 we are completely satisfied with our purchase and are glad for not having to unwrap our flag from the flagpole. 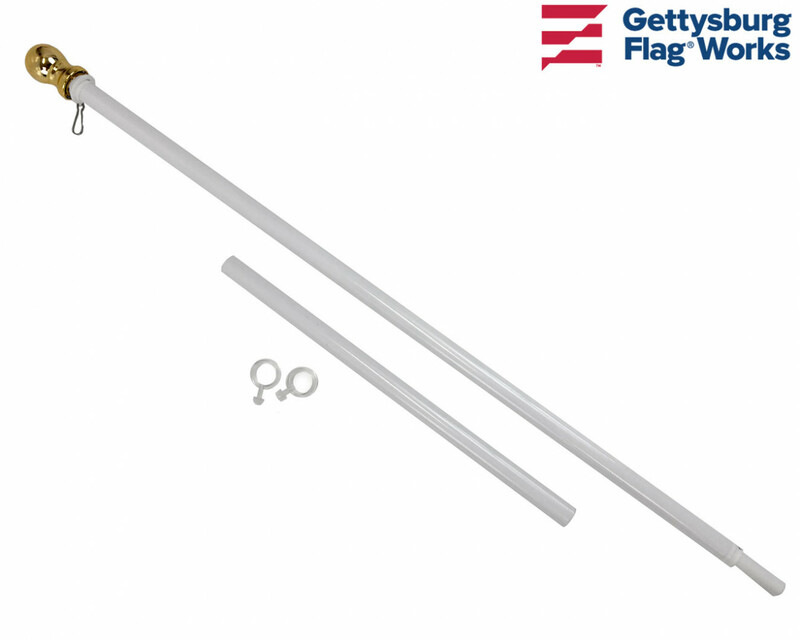 I recently purchased your aluminum revolving flagpole set and I pleased to tell you that we are absolutely thrilled to come home and see â€œOld Gloryâ€ flying and not wrapped around the pole. Thanks so much we are truly pleased.